Yesterday was my family's Thanksgiving at my house. I loved seeing all of you. 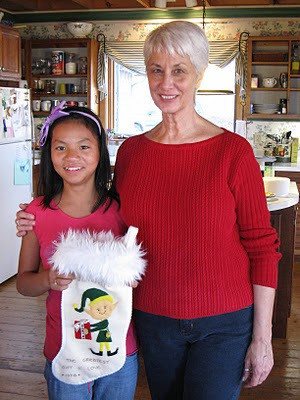 Abigail received her Christmas stocking . 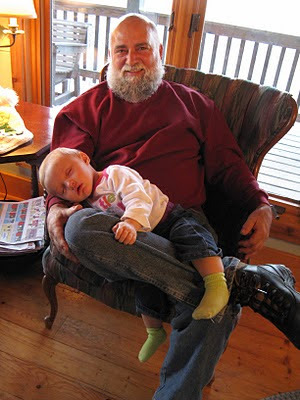 . .
Anya fell asleep on Vince's leg . . .